Okay, so I did it. 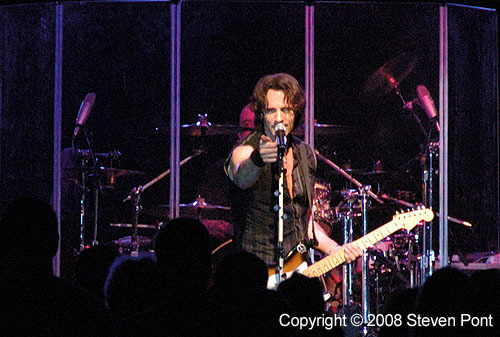 I went to my first Rick Springfield concert. It was kind of hard to avoid. He was in town, and it was outdoors on a nice summer night, and it wasn't too expensive, and my 9-year-old son is a huge fan. So I did it. I saw him work the crowd. I saw the somewhat overly devoted fans. I saw him smash the roses on his guitar. He looks pretty good for 82 and the show wasn't terrible.